Wine Run 2019 is a popular event in Lanzarote for both athletes and foodies. The event is held over a weekend in Uga. On Saturday evening of the 15th June there’s a kids race, food festival and concert. On Sunday 16th June there’s a long race of 23km and short race of 12km which can be run or walked, followed by the food festival and concert. Registration to participate in either of the distances closes on the 9th June, the course is spectacular, using trails through the stunning wine region of Lanzarote. It’s a tough run, the terrain is a mixture of volcanic ash, rock and dirt tracks. Walkers on the 12km trek can enjoy wine tasting along the route, from a variety of bodegas. Wine Run 2019 follows last year’s route through the region. Registration is now open for wine run 2019 here. Prices are €39.40 for the long race, €32.40 for the short race and €25 for the walk. Each entry includes a T Shirt, insurance, tickets for the food event and more. It’s been confirmed that over 2150 participants registered for last year! There were 1140 for the walk, 580 for the short run and 320 for the long run. The 23km run departs from Bodegas La Florida at 9:00 and the 12km from Montaña Colorada at 10:00. All participants will have bus transfers from Uga to the start line, the long race departs from 07:15-07:50 and short race from 07:30-08:30. 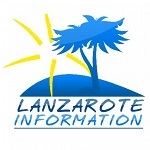 The LZ-30 will be closed completely to traffic from 08:00 – 16:00 on Sunday, plus some restrictions on the LZ-56 from Mancha Blanca to La Geria when race participants are crossing this road. The food festival is free entry and open to all, it’s a fantastic chance to taste our local gastronomy with plenty of food, wine and beer stalls. Simply buy your tickets from the stalls at the entrance, then present them to pay for your food and drink purchases which generally cost from €1 to €3 an item. If you’d like help planning a holiday around Wine run Lanzarote 2019, please send us a travel enquiry.